INDIANAPOLIS, IN - Indiana Black Expo is pleased to announce that the I Love Music Music Conference presented by Rico Love will take place on Friday, July 16th and Saturday, July 17th as part of its 46th Summer Celebration inside the Indiana Convention Center. The conference will feature Grammy award winning songwriters, producers and singers. Workshops will cover topics on Songwriting, Marketing, A&R and Publishing. Attendees will also hear lectures from industry experts on how to effectively navigate in the industry and have the opportunity to participate in Q&A during panel discussions. The music conference is part of the vision of Producer and Songwriter Rico Love who performed during the post-game concert during Circle City Classic®. "My mission was to create a music conference that gives you the tools and information to be greater. Not just stories of how I made it and hype inspiration that fades when you leave the conference. I'm from the Midwest so what better place to launch than Indiana Black Expo," said Producer Rico Love. "I will also be on the lookout for new talent and I look forward to a long lasting partnership with IBE hosting the I Love Music Conference," added Rico Love. Rico Love will be joined by Grammy Award-winning Songwriters and Producers Bryan-Michael Cox and Teddy Riley. "Having performed at IBE in the past, I understand the importance of having a Music Conference that really impacts the community. Rico love is a well-respected and Grammy Award-winning Producer who is working with me on a project now, so it makes perfect sense for us to team up for his music conference. We both understand how to make hits and how to develop talent. I will be there sharing my knowledge on what it takes to make it in music," said Producer Teddy Riley. Additional conference speakers and artists scheduled to perform on the Interactive Stage in the Exhibition Hall as part of the conference will be announced. Producer Rico Love is looking for talent and songwriters and singers are encouraged to upload their soundcloud link or Facebook artist page when they register. To register for the conference and to book your hotel, CLICK HERE. Richard Preston Butler, Jr., better known by his stage name Rico Love, is a Grammy-nominated singer-songwriter, producer and singer. Love wrote and produced hit records such as Usher's "There Goes My Baby" and "Hey Daddy (Daddy's Home)", Nelly's "Just a Dream" and "Gone", as well as Beyoncé Knowles' "Sweet Dreams" and has contributed to works which have gone on to win Grammys such as Beyoncé's 2009 Best Contemporary R&B album I Am... Sasha Fierce, Usher's 2010 Best Contemporary R&B album Raymond v. Raymond, and Usher's 2010 Best Male R&B Vocal Performance "There Goes My Baby". In addition Love has written and produced records for Kelly Rowland, Diddy - Dirty Money, Chris Brown, Alexandra Burke, Keri Hilson, Fergie, and Fantasia. Love is also the CEO of Division1. Love has appeared as a featured artist on records with T.I., Usher, Jermaine Dupri, Jamie Foxx, Rich Boy, and Fat Joe. Bryan Michael Cox is a Grammy-Award Winning Producer and Songwriter who is notable for his extensive work with multiple platinum-selling artists including Usher, Mariah Carey, Mary J. Blige, and Toni Braxton. In 2009, Cox was inducted into the Georgia Music Hall of Fame for his outstanding contribution to music. Among his most notable productions are "Be Without You" for Mary J. Blige, "Burn", "Confessions" and "U Got It Bad" for Usher, and "Shake It Off", "I Stay In Love" and "You Don't Know What To Do" for Mariah Carey. During his career Cox has been responsible for over 100 million record sales, 35 number one hits, and 12 Grammy Award nominations, including 9 wins. Teddy Riley is a Grammy Award-winning American Producer and Songwriter credited with the creation of the new jack swing genre. Through his production work with Michael Jackson, Bobby Brown, Doug E. Fresh, Today, Keith Sweat, Heavy D., Usher, Jane Child, and membership of the groups Guy and Blackstreet, Riley is credited with having a massive impact and seminal influence on the formation of contemporary R&B, hip-hop, soul and pop since the 1980s. 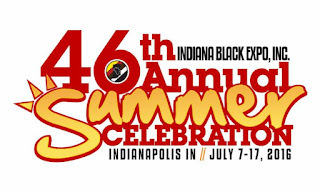 About Indiana Black Expo, Inc.
Indiana Black Expo, Inc. is a nonprofit 501(c) (3) organization with twelve chapter affiliates in the State of Indiana. IBE hosts the Summer Celebration, its annual fundraiser which funds several year round programs which include the following: The College and Scholarship fair, State of Our Black Youth Initiative, Statewide Education Conference, Children's Day Health Initiative, Family Zone Health & Wellness Initiative, Circle City Classic® Coronation, Youth Leadership Summit and Youth Media Institute.